OZEKI Message Server empowers you to send and receive SMS from a personal computer through a GSM device attached to the computer or by using an IP SMS connection. The sending task could be performed by placing txt files into a certain directory. Receiving can be done by reading txt files from another directory in the file system. If you want to send and receive SMS this way, you should configure the OZEKI SMS Server to place the incoming messages into the selected directory and to check another directory periodically for messages to send. The directory we use for receiving messages is called the incoming directory, the one we use for sending messages is called the outgoing directory. When the directory settings are configured, an appropriate txt file format should be selected. Ozeki Message Server supports three kinds of file formats. You should select the one that fits your needs the most. You can read about the file formats on the file format information page. 3.) C:/smsfailed/ - the directory that holds the messages that could not be sent. To send an SMS first you should create a "lock" file in the outgoing directory. A lock file is used to make sure Ozeki Message Server will not start to read the real file containing the messages while the file is still beeing written. The lock file is an empty file, that has a name that matches the real file. The lock file name has a special extension: .lock. After the lock file is created you can edit the real file containing the outgoing message text. When you are finished simply delete the lock file. After you have created your file, you need to wait. Ozeki Message Server will delete your file, and will try to send the messages. 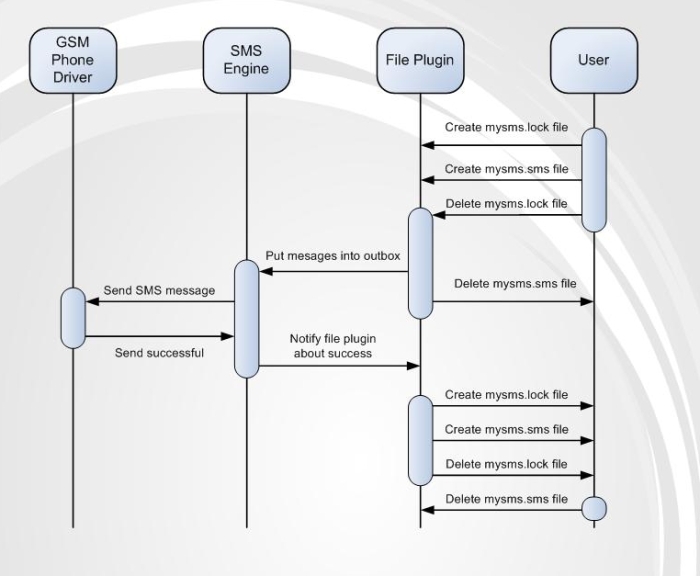 When the sending is done a text file will be placed into the smssent or the smsfailed directory based on the sending results using the same locking steps.